National home sales in Canada fell by 1.6% between September and October 2018 and by 3.7% year on year while prices fell by 1.5% to $496,800 on an annual basis, the latest index shows. The data from the Canadian Real Estate Association also shows that actual, not seasonally adjusted, activity was down 3.7% compared to October 2017 but this is in line with the 10 year average for the month. The index points out that the national average price is heavily skewed by sales in Greater Vancouver and the GTA, two of Canada’s most active and expensive markets. Excluding these two markets from calculations takes the average to $383,000. 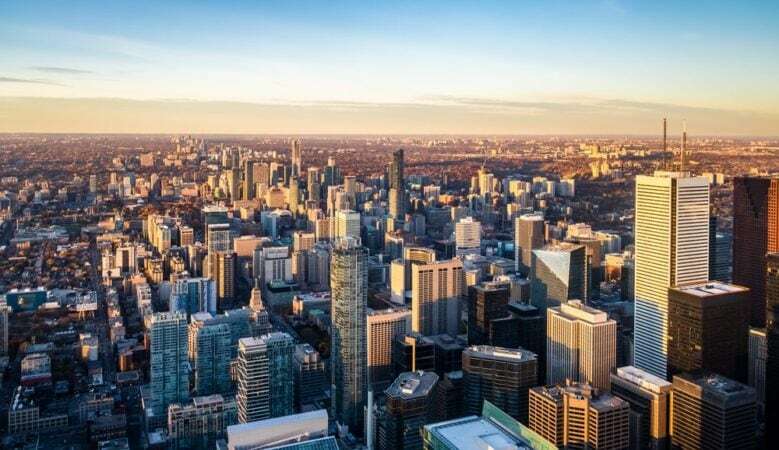 While sales were down year on year in slightly more than half of all local markets in October, lower sales in Greater Vancouver and the Fraser Valley more than offset the rise in sales in the Greater Toronto Area (GTA) and Montreal by a wide margin. ‘This year’s new mortgage stress-test has lowered how much mortgage home buyers can qualify for across Canada, but its effect on sales has varied somewhat depending on location, housing type and price range,’ said CREA president Barb Sukkau. While national sales activity lost momentum in October, according to Gregory Klump, CREA’s chief economist, this partly reflects waning activity among some urban centres in Ontario’s Greater Golden Horseshoe region and the absence of an offsetting rise in sales in the Lower Mainland of British Columbia. ‘Even so, the balance between sales and listings in these regions points to stable prices or modest gains. By contrast, the balance between sales and listings for housing markets in Alberta, Saskatchewan and Newfoundland indicates a weak pricing environment for homeowners who are looking to sell,’ he said. There were 5.3 months of inventory on a national basis at the end of October 2018. While this remains in line with its long-term national average, the number of months of inventory is well above its long-term average in the Prairie provinces and in Newfoundland & Labrador. By contrast, Ontario and Prince Edward Island are the two provinces where the measure remains more than one standard deviation below its long term average. In other provinces, the number of months of inventory is closer to its long term average and suggests that sales and inventory are well balanced, the index report says. When it comes to prices trends continue to vary widely among the 17 housing markets tracked by the index. In British Columbia, home price gains have been diminishing on a year on year basis with prices in Greater Vancouver up 1%, in Fraser Valley up 6.8%, in Victoria up 8.5% and elsewhere on Vancouver Island up 11.8%. By contrast, price growth is improving year on year among housing markets in the Greater Golden Horseshoe region, up by 9.3% in Guelph, up 6.8% in in Hamilton-Burlington, up 6.3% in the Niagara Region, up 2.6% in the GTA and up 2.2% in Oakville-Milton. Across the Prairies prices in Calgary were down by 2.6% year on year, in Edmonton down 2.4%, in Regina down 3.6% and in Saskatoon down 0.9%. Prices increased by 6.6% year on year in Ottawa, by 6.3% in Greater Montreal and by 4.2% in Greater Moncton.